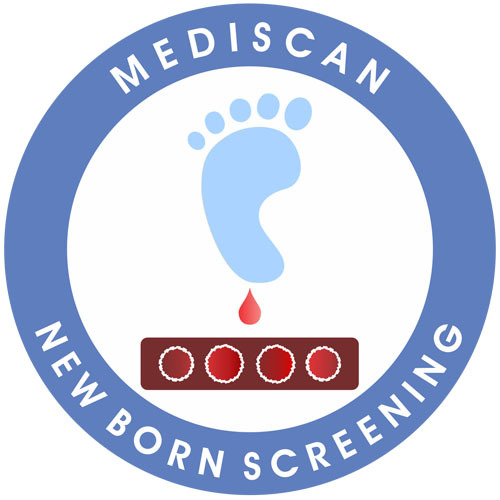 New born screening is a simple blood test done for neonates to identify potentially fatal disorders which are not clinically evident but may affect the long term health of a child. It is a public health program offered to every newborn to rule out the presence of major selected disorders. By doing this screening, affected children can be identified early before the symptoms appear. Early detection helps early diagnosis, intervention and treatment thereby preventing severe permanent damage to the child's development and well being. Many of these disorders are heritable and with confirmed diagnosis of an index child, prenatal diagnosis is also possible in subsequent pregnancies.